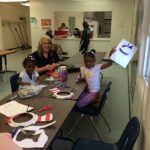 McDonough County United Way currently runs a Weekend Summer Lunch And Learning Program for kids who would typically receive free or reduced lunch during the school year. To enroll children in their household in the program, parents and guardians simply contact our office near the end of the school year. 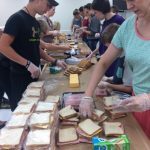 Each Friday of the summer, kids receive two healthy sack lunches for Saturday and Sunday. But, did you know many of these same children don’t have a single book in their homes to call their own? That can leave these students less prepared for school, especially over key summer months when learning loss is at its highest. McDonough County United Way wants to help change that, and you can, too! We’re collecting financial donations to purchase new books for low-income students enrolled in our Weekend Summer Lunch and Learning Program in Summer 2018. 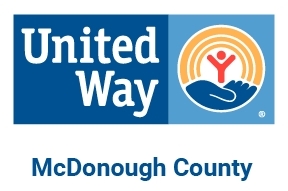 Donating is easy— donate online with the link below, download the donation form to mail in, or contact the McDonough County United Way office. 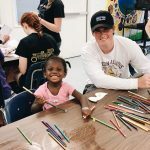 Thank you to all who helped in Summer 2018! Thank you to our lunch-makers for the continued support and quick work packing lunches every Friday morning – Hy-Vee, Calvary Baptist Home School, United Way Board Members, local 4-H members, Altrusa, Wesley United Methodist, Macomb Centennial Morning Rotary Club, Big Brothers Big Sisters, First Christian Church, Sodexo, Purdum Gray Ingledue Beck, and Pella Corporation. 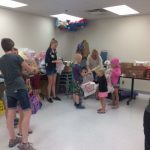 We would also like to thank our friends at Big Brother Big Sisters for helping to distribute lunches each week and aiding with fun reading activities and crafts throughout the summer. 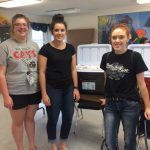 United Way Mother Moon scholarship winners (past and present) helped prepare books for families, play and teach children who attended mini Reading Day events, and kept deliveries on track each week. Thank you so much for the extra hands! None of this could happen without the generous support of our financial donors – First Presbyterian Church of Macomb, Macomb Women’s Club, Macomb Rotary Clubs and individual supporters. 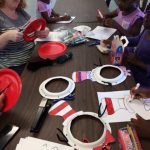 Books were generously donated by citizens of the county, WIU Phi Kappa Phi, and Friends of the Library, ensuring over 500 books made it into the hands of county children this summer. 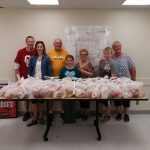 Finally, we would like to send a huge thank you to our partners at Hy-Vee for providing us an avenue to order fresh food each week and a place to store non-perishable food items and pack lunches. 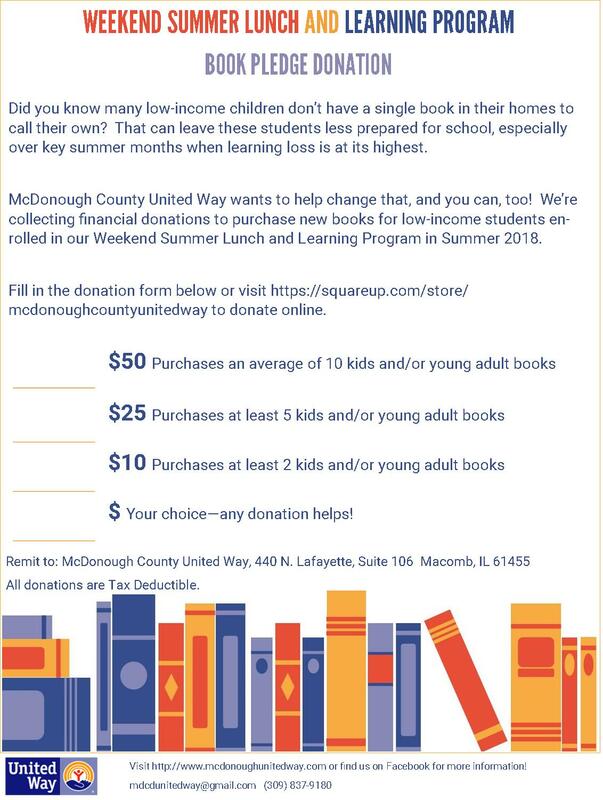 If you are interested in learning more about the program and how to get involved next summer, please reach out to McDonough County United Way.